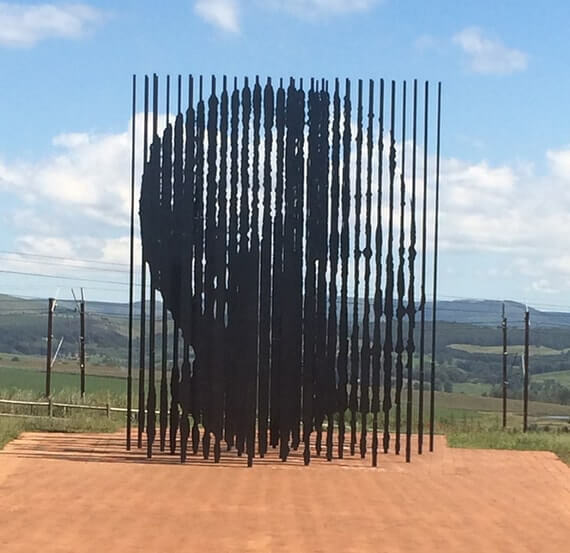 South Africa – a country enclosing a whole world. Exuberant cities, arid deserts and lush rainforests, dream beaches and high mountains all unite here to form a diverse, vital whole. Discover something new every day of your trip. From wild animals in the bushland, to the urban lifestyle in the cities, to fine wines in the wine regions. Everything you want to do and see can be combined, so you get to know a new world every day. Whether it is a safari, a city trip or a cultural experience, there are so many different things to discover that just one trip will hardly be enough. A metropolis right on the ocean, where history and the future are unified like nowhere else in the world. Cape Town is a symbiosis of urban flair, the marvelous coastal location, and the history written here. Cape Town bursts with urban life, a hot spot where the trend-makers of the fashion world mingle in the best restaurants and vibrant city districts. Surrounded by unmistakable landscapes, you can follow the footsteps of Nelson Mandela, enjoying the view from Table Mountain across the city and Robben Island, or experience the most beautiful sunset in the world at Signal Hill. Over the impressive Chapman’s Peak you will reach the Cape of Good Hope, and on the way back you will visit the penguins at Boulders Beach. Cape Town is the world’s only bustling metropolis located directly in a national park. You can start a hike from the middle of the city into the wilderness area of Table Mountain – it simply does not get much closer to nature than this. Unmatched lodges are the perfect starting point for your safari – before setting out on your day’s adventure, say “good morning” to a giraffe at breakfast. 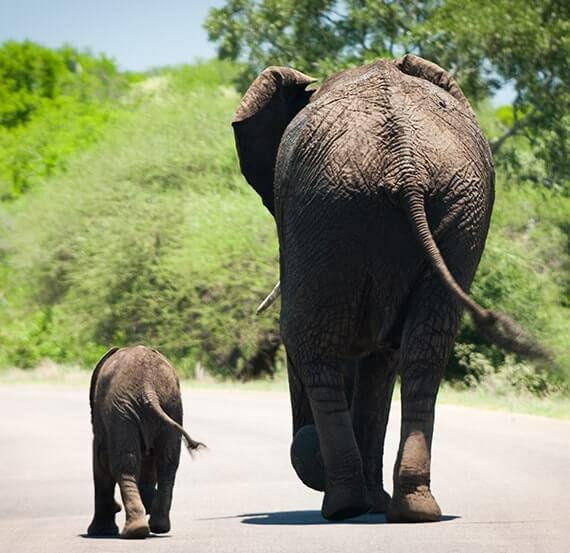 No other trip could hardly be as individual – every animal you experience in the wild will open your heart, bringing you closer to your own nature in return. Just enjoy the here and now, the unique atmosphere of the lodges, and the excellent personal service on site. 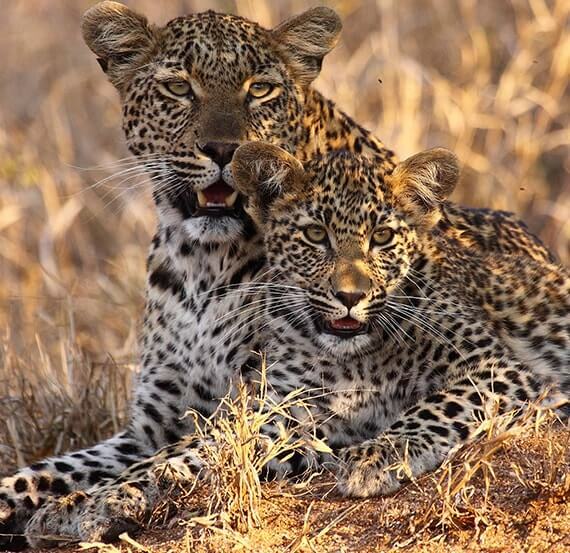 You can experience all this and the Big Five in Kruger National Park, one of the most famous national parks in the world and the largest animal protection area in South Africa, or in one of the numerous Private Game Reserves. 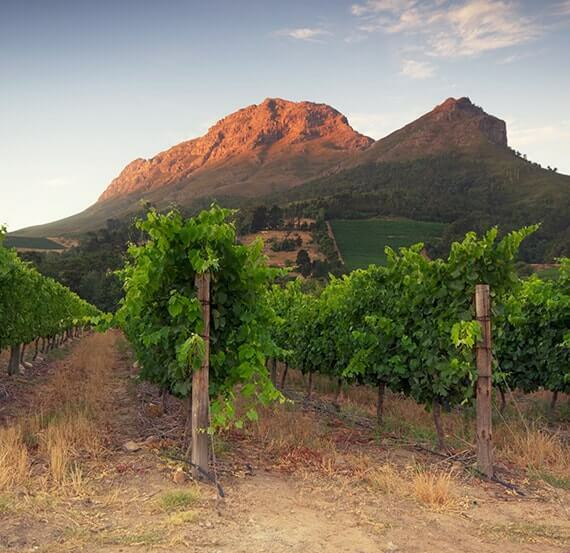 The finest grapes mature into fine wines between the sea and the mountains at the Western Cape. 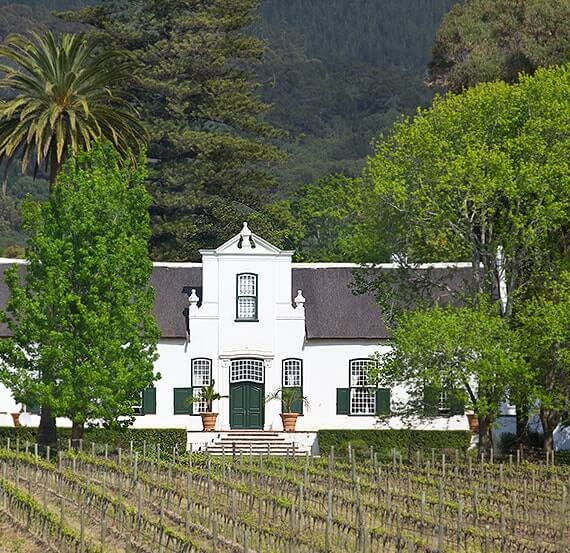 Franschhoek and Stellenbosch are just two of the many highlights on your culinary journey through the Winelands. Magnificent vineyards, matchless hotels and exquisite culinary delights conjure a never-ending smile on your face. As if time itself stands still, you savour every moment in full, find strength in silence, and enjoy a new sense of ease. Stretching almost the entire way from Mossel Bay to Port Elizabeth – between the Indian Ocean and the semi-desert of Little Karoo – is a unique natural paradise: the Garden Route. 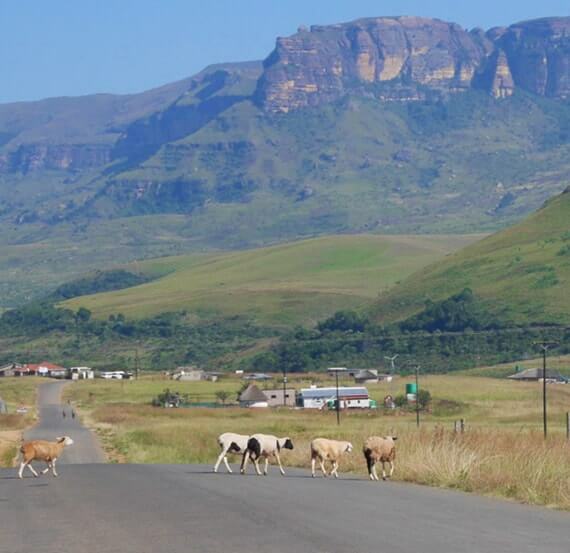 Along the south coast, you will discover the diversity of South Africa. Steep cliffs alternate with secluded bays, and wide sandy beaches turn into dense forests. Adventurers and romantics, nature lovers and those seeking quiet – all will be equally happy here. For there is not only much to discover along the famous road itself, but also beyond it. 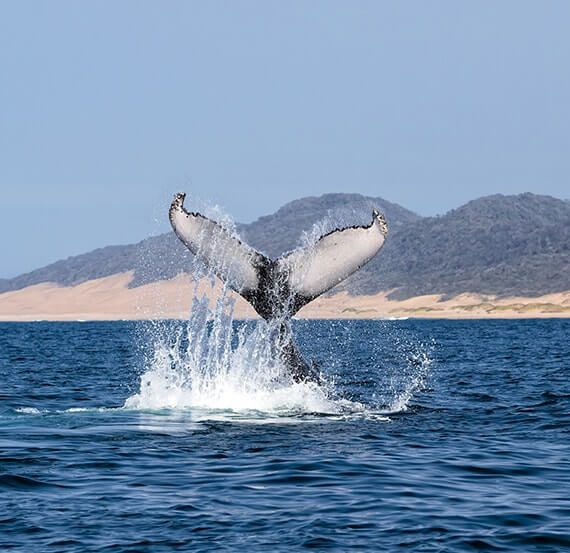 Knysna, for example, a jewel on the edge of the road, is located on a beautiful lagoon connected with the open sea only by a narrow opening. If you like oysters, you can definitely enjoy the culinary delights here. 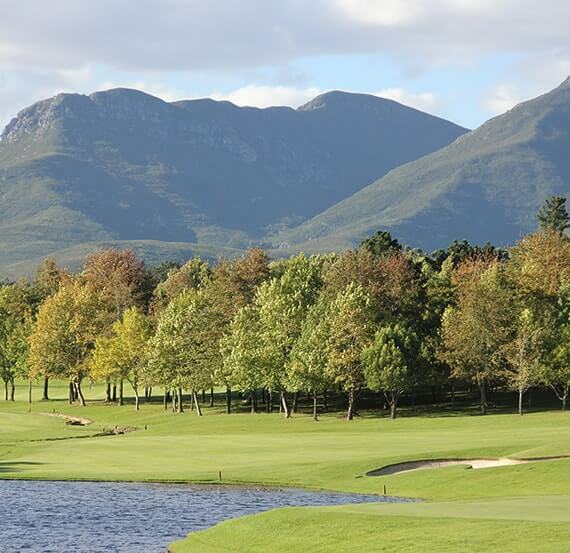 Golfing on the Garden Route and in the Cape region will literally make your dreams come true. Here you can play golf surrounded by scenery so impressive that the whole experience will remain with you for a very long time indeed. Exceptional accommodation and breathtaking golf courses await you. Zalected can help you realise your golfing dreams at several of the world’s most award-winning golf courses; at Knysna, for example, at the Pezula Golf Course. 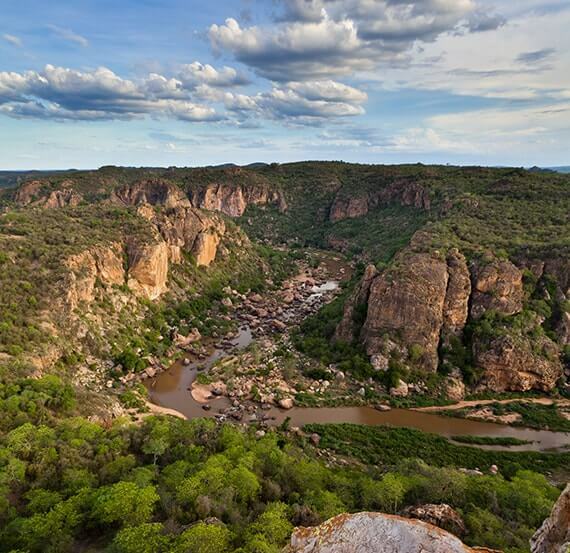 And if you want to get above it all, you can play the incredible 19th hole, 400 meters high, on the legendary Signature Course in Mpumalanga in the north-east of the country, against the dream-like backdrop of the Big Five.